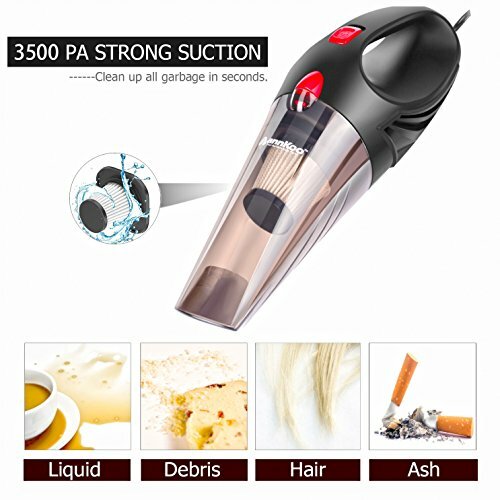 ★POWERFUL SUCTION - annKoo car vacuum with 12volt, 106w, 75db low noise, 4300-4500PA suction can effectively clean the dust, crumbs, pet hair, water and other small mess in the car. 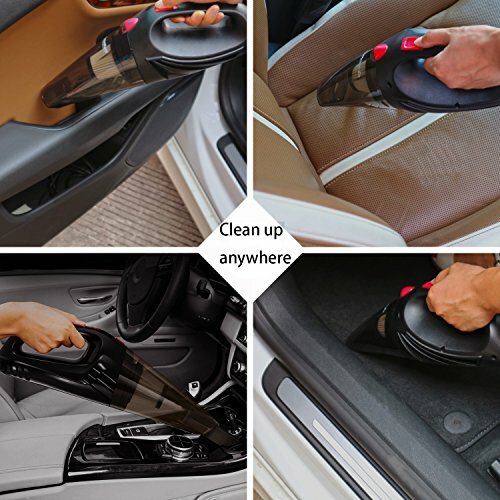 ★MULTIFUNCTIONAL - Dry and Wet application can quickly absorb the spilled liquid inside the car. 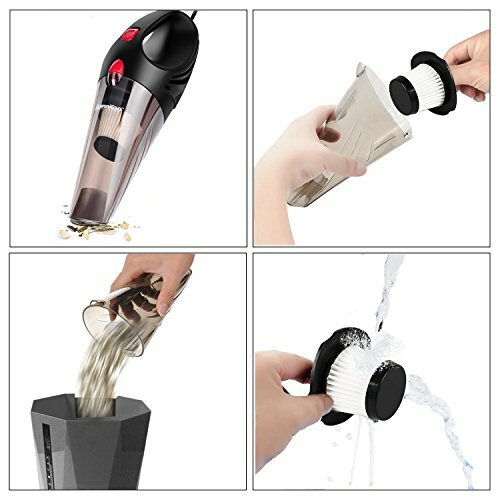 3 accessories (Long Mouth, Brush, Soft Long Tube), enables to clean the trunk and can clean every corner in your car. ★HEPA FILTER - Comes with a HEPA filter, which is detachable and easy to be cleaned just by water, economic and environmentally friendly. 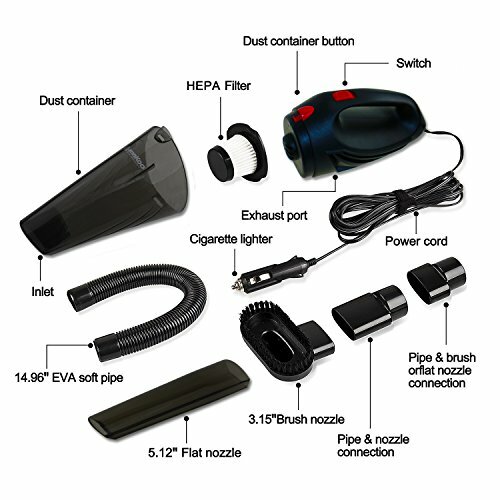 It will be more powerful if start the car first while use the car vacuum and the filter should be cleaned up and dry every time of use. ★EASY TO USE - 5.0M(16.4 ft) power cord helps to clean any hard-to-reach area. 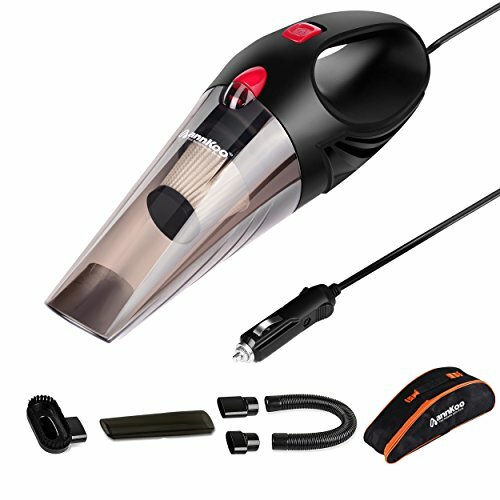 With a carry bag: zippered case, easy to carry the vacuum and all of the parts.. Easy to operate, just turn on/off the switch. ★CUSTOMER SERVICE - With international safety certification FC, CE, RoHS. If you have any problem with your order please don't hesitate to email us, we will give you a response within 24 hours! All annKoo's products are guaranteed to REFUND or REPLACEMENT if you are not satisfied with the product within a year! 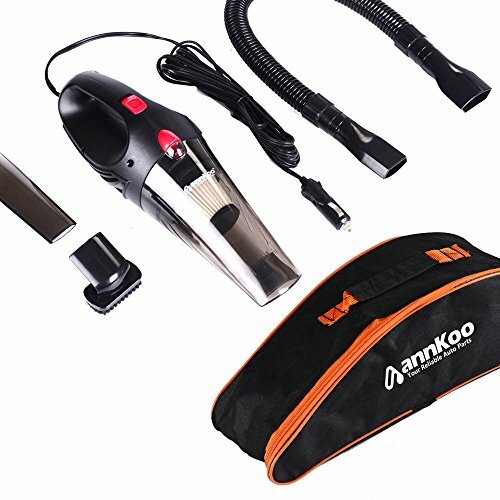 Package Includes: 1 x ANNKOO Handheld Car Vacuum, 1 x Extension Hose, 1 x Brush Attachment, 1 x Crevice Attachment, 16.4ft /5m power cord, 1 x Operation Manual and 1 x Carrying Case. 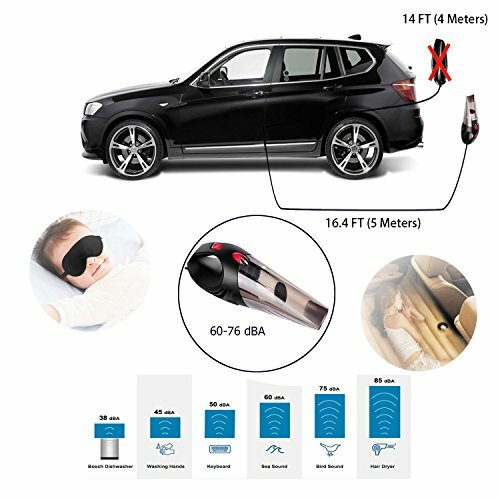 If you have any questions about this product by ANNKOO, contact us by completing and submitting the form below. If you are looking for a specif part number, please include it with your message.